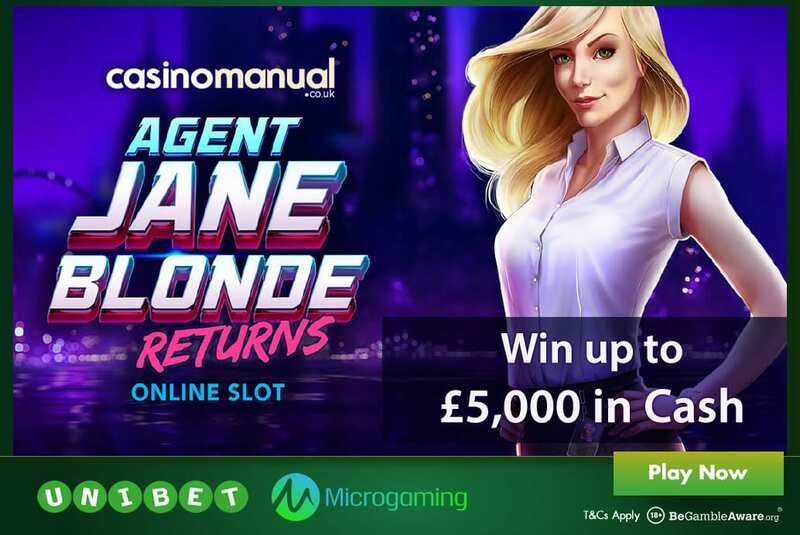 Join superspy Agent Jane Blonde in her new adventure to win a share of £30,000 in cash at Unibet Casino – the top prize is a cool £5,000. 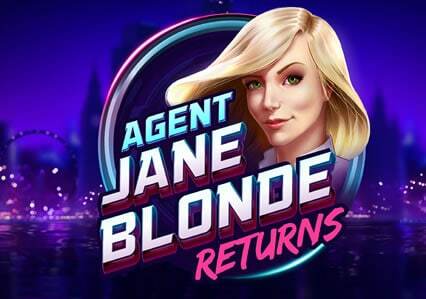 Unibet Casino are celebrating the release of Agent Jane Blonde Returns from Microgaming with a £30,000 Agent Jane Blonde Returns Lucky Spin Tournament – running until the 9th of April (2019), you need to opt in first (via the Special Offers section). Then simply play Agent Jane Blonde Returns. The top 500 players with the highest equalized win over 1 spin will win a share of the £30,000 prize pool. This means your biggest win from 1 spin counts – if you were to win £10 from a £1 spin, your score would be 10 points. If you won £30 from a 10p spin, you’d get 300 points. Anyway, there are 500 cash prizes to be won with 1st prize worth £5,000! Agent Jane Blonde Returns is the sequel to Agent Jane Blonde which was released nearly 14 years ago! With 5 reels and 15 paylines, you can play from as little as 5p per spin across all devices. With a spy theme, it’s all about the Respins feature where 2 scatters change into wilds with the reels respinning. If more wilds land, you get more respins. The more you get, the bigger your win will be. For full details, visit the Agent Jane Blonde Returns video slot review. Sign up at Unibet Casino today to get 10 free spins on selected NetEnt video slots including Gonzo’s Quest. On your first deposit, you will get a 200% match bonus up to £200 (i.e. deposit £100, get a £200 bonus) as well as up to 190 more free spins.